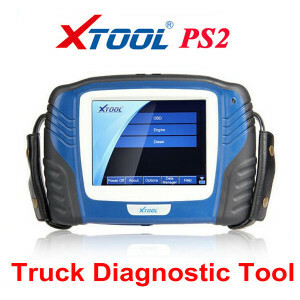 Below you can download XTOOL PS2 HD car list and supported functions for Volvo, Scania, Benz, Cummins, Isuzu trucks… XTOOL PS2 HD Heavy Duty Scanner is a good choice to diagnose truck before 2010! Truck before 2010 OK, after 2010 a few brands OK.
How to connect XTOOL PS2 HD with truck? Use the main testing line to connect XTOOL PS2 HD main unit with VCI Box. 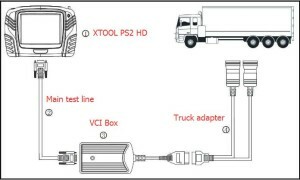 According to the truck brand, choose right adapter to connect VCI Box with truck. 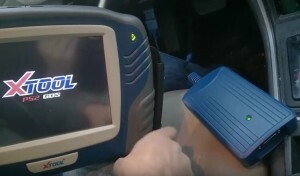 Connect the VCI Box with truck OBD diagnostic port. The VCI Box LED light will be red. Power on XTOOL PS2 HD and both the main unit LED and VCI Box LED will automatically turn green. P.S. XTOOL PS2 GDS series also has professional scanner for gasoline cars.